Obituary for Elvira Sebastian | McCombs Funeral Home Inc.
Elvira Bertha Sebastian, 82, of Cape Girardeau, formerly of Tilsit, passed away Thursday, March 28, 2019, at the Lutheran Home in Cape Girardeau. She was born August 24, 1936, near Tilsit, to Paul H. and Hulda H. Aufdenberg Ahrens. She was baptized September 27, 1936, at Immanuel Lutheran Church in Tilsit, and confirmed April 2, 1950, at St. Paul Lutheran Church in Jackson. She was a graduate of Jackson High School. She and Nelson O. Sebastian were married June 27, 1954. Three children were born to their union, Mike, Debbie, and Susan, and the family farmed many years near Tilsit. Elvira enjoyed homemaking and was an accomplished gardener. She was a longtime, faithful member of Immanuel Lutheran Church in Tilsit and and its Ladies Aid. She is affectionately remembered as a devoted wife, mother, and grandmother. Loving survivors her loving husband of 64 years, three children, Mike (Beverly) Sebastian of Brentwood, Tennessee, Debbie (Mike) Weiss of Seguin, Texas, and Susan (David) Lowes of Jackson; four grandchildren, Rachel Lowes O’Brien and husband Brandon, Samuel Lowes, Elizabeth Weiss Green and husband Zach, and Jarrett (Schuyler) Weiss; and a brother, Leonard (Clara) Ahrens of Jackson. She was preceded in death by her parents; an adult sister, Luella Stadt; and an infant sister, Leona Ahrens. Visitation is from 1 p.m. to service time, Sunday, March 31, 2019, at Immanuel Lutheran Church in Tilsit. The funeral is at 3:30 p.m., Sunday, March 31, 2019, at the church, with the Rev. Mark Boettcher officiating. Committal service is at 2 p.m., Monday, April 1, 2019, at the Missouri Veterans Cemetery in Bloomfield. Memorials may take the form of contributions to Immanuel Lutheran Church (Tilsit). 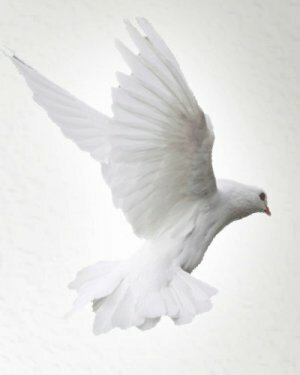 Online condolences may be sent to the family by visiting Elvira’s obituary page at www.mccombsfuneralhome.com.